Solenostemon scutellarioides. 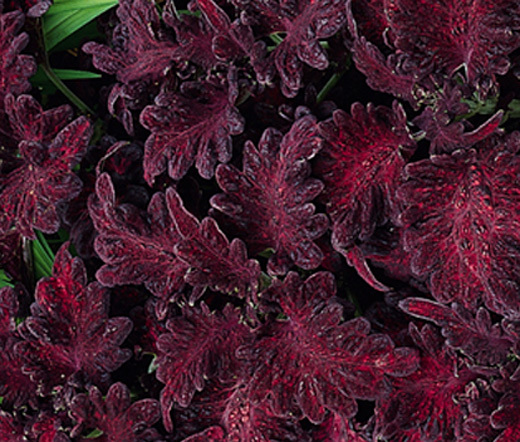 As velvet makes a strong come back as a fashion fabric, we thought we’d feature this stunning plant with dark coloured, velvety foliage. As you can see in the photos, Black Dragon looks amazing planted next to vibrant green plants or even better contrasted with downy silver foliage plants. The leaves themselves are so striking that you could have them in a vase by themselves, they are a pointed oval shape with an interesting toothed or scalloped edge. 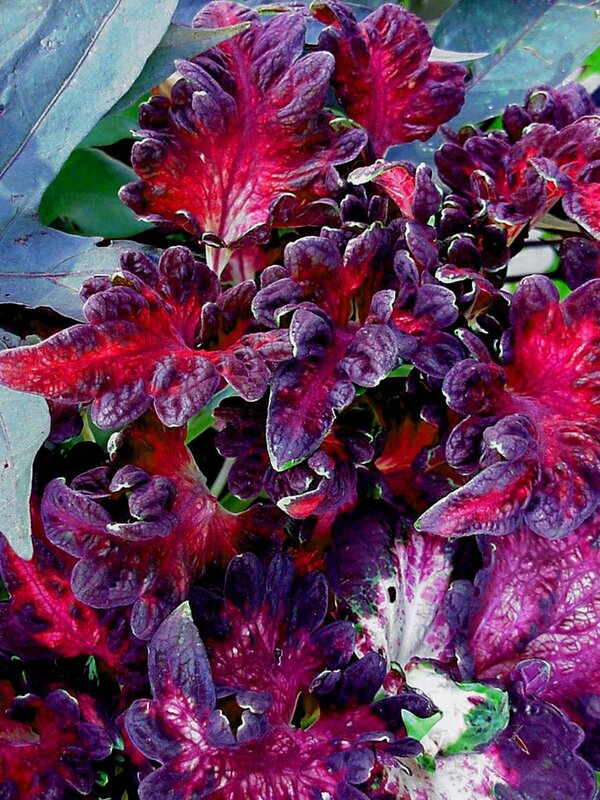 These are a partly-shade loving plant and are also perfect for indoors. To keep the foliage full and lush, remove the flowers as they develop. You can propagate this plant from seed, or cuttings as they strike easily. You can grow them in moist, well-drained soil and they are perfect for growing in containers.